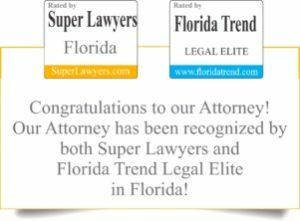 Among the new laws which the Florida legislature passed this session were substantial changes to the Durable Power of Attorney Statute. A durable power of attorney (DPOA) is a document in which you appoint someone to legally act on your behalf. The new law takes effect October 1, 2011. Fortunately, Durable Powers of Attorney which were executed prior to the effective date of the new law are still valid. Durable Powers of Attorney executed after the effective date, must comply with the new law. One of the changes to the statute is semantic; a person acting as the fiduciary is now referred to as the “agent” rather than “attorney-in-fact.” Calling the fiduciary “attorney in fact” was confusing to most people. Currently, DPOA’s can take effect immediately or they can be “springing” meaning they do not take effect until the person becomes incapacitated. DPOA’s signed after the effective date may not be “springing” anymore, meaning the power of attorney takes effect immediately once signed (and not just when you become incapacitated). The new statute allows a financial institution four days, excluding Saturdays, Sundays and legal holidays to accept or reject a power of attorney. The financial institution can require the agent to provide an affidavit providing that the power of attorney has not been revoked; an English translation if any words are in a language other than English and an opinion of counsel as to any matter of law concerning the power of attorney if the financial institution making the request provides the reason for making the request. The opinion of counsel is to be procured at the expense of the principal. If a financial institution rejects a power of attorney, they must do so in writing. Under the new law, if a power of attorney is revoked, a notice must be sent in writing to the agent and any third parties (such as financial institutions) who may be relying on the durable power of attorney. Notice to the financial institution must contain the name, address and last four digits of the principal’s taxpayer ID number and be directed to an officer or manager of the financial institution in this state. The new law provides that certain powers can only be provided to an agent if the principal signs a separate specific enumeration. Among the powers that require specific enumeration are creating an inter vivos trust; making a gift; changing rights of survivorship and changing a beneficiary designation. The new Durable Power of Attorney statute is detailed and complex. Those acting as an agent under the new law need to ensure that they understand the responsibilities of being named an agent.